This guide is used for Auto Provisioning of the Yealink IP phones which has new MAC address range. 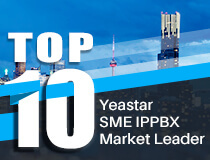 Yeastar U-Series VoIP PBX only supports the MAC address is started with 001565. Recently Yealink launched new MAC address range is started with 805EC0. Due to this, Yeastar U-Series VoIP PBX can't scan the Yealink IP phone automatically, and even you can't allow to add the IP phone with new MAC address manually. When you try to add a Yealink IP phone with new MAC, it can't be allowed to save the configuration. Therefore we offer an solution resolve this problem. Step 3. Edit the auto provision file with command vi /persistent/autoprovision.js, then find the MAC range for Yealink phone as below, then add marked with red content. Step 4. Go to /persistent, create add.sh file with command vi add.sh. Give the add.sh with executable authority with command chmod +x add.sh. Add below content in add.sh file. Then execute add.sh. Step 5. Clean the Browser's cookies and cache, then login the Yeastar U-Series VoIP PBX web interface and try to provision the Yealink IP phone on Auto Provisioning page. 1). Please enable your SSH in U-Series PBX Security Center>Service first. 2). Logging in your U-Series PBX 's Command Line Interface(CLI) via PuTTY or other SSH tools. 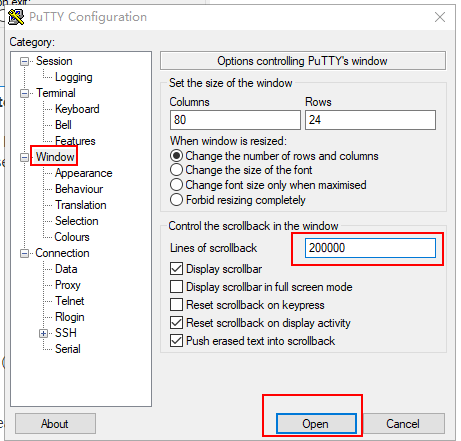 Input PBX IP and SHH port 8022 in Session page and change Line of scrollback to 200000 in Window page. 3). The default username is root and password is ys123456. Step 2. Input ( cp /www/webfile/js/autoprovision.js /persistent/ ) and Enter. Step 3. Input ( vi /persistent/autoprovision.js ) and Enter. Click keyboard I, then copy and paste bold content(start with a space) to the blue box position. Input ( :wq ) and Enter. Step 4. Input ( cd /persistent ) and Enter. Input ( vi add.sh ) and Enter. Click keyboard I, copy and paste below content in add.sh file. Input ( chmod +x add.sh ) and Enter. Input ( ./add.sh ) and Enter.